I am writing this letter of recommendation in support of the Filta Environmental Kitchen Solutions group that services our account here at Doctors Hospital in Augusta, Georgia. 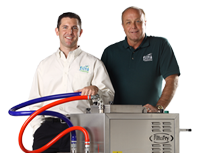 Our Service Tech has represented Filta with the upmost professionalism and has done an outstanding job servicing our fryers for almost two years now. As you well know, grease cleanliness is at the top of everyone’s list of priorities in the F&B industry but is one of the least desirable tasks to be performed. After ongoing complaints from a predominantly female staff regarding the arduousness of the task, we decided to give Filta a shot. We have not been disappointed. After heavy fry days, with one brief phone call, the tech shows up in the wee hours of the morning with a great personality and services the grease before that day’s scheduled use. Also, since Filta came on board, we have not had one customer complaint regarding greasy tasting food. Filta’s tech gets along extremely well with the kitchen staff and is a pleasure to work with. We look forward to a rich and rewarding future with Filta Group.